Scouring North African deserts to understand mid-Cretaceous period, Nizar Ibrahim is National Geographic’s 2014 recipient of Emerging Explorers award. While Ibrahim clearly stated "If I had a time machine, I’d go back a hundred million years to what is now Morocco’s Sahara Desert," that part of the world looked differently at that time than it does today. Abundant rivers filled with life, reptiles flying above, and 40-foot long crocodiles roaming in search of pray, competing for supremacy with dinosaurs much larger than Tyrannosaurus Rex – that is the picture a time traveler would see. Ibrahim describes his work: "Paleontology is like detective work. It’s amazing to piece together clues and re-create a hundred-million-year-old landscape where gigantic predators flourished and enormous evolutionary changes unfolded." 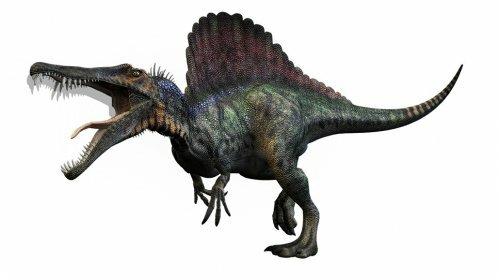 In Science magazine issue last Thursday, Ibrahim and his colleagues revealed the most detailed look ever at the largest and most vicious of all carnivorous dinosaurs – Spinosaurus. The fossils were found in sandstone beds in Sahara desert close to Marocco. With a crocodile stout and paddle-like feet, featuring dense bones for aided flotation, the 50-foot-long (15.2 meter-long) dinosaur was a gigantic predator. Nintendo Coming With A New DS This E3?